Did you know content marketing was already being used as a key marketing tactic over 100 years ago? 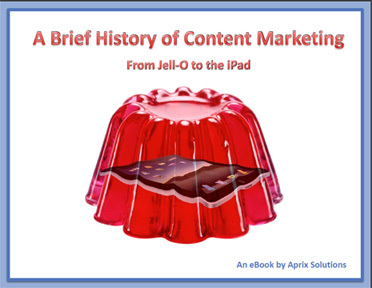 Learn more about how the pioneers of content marketing took advantage of unique, engaging content, and changed the marketing landscape. Download this free eBook today and join us in exploring what makes content marketing such an interesting field and what lessons we can learn from other marketers.